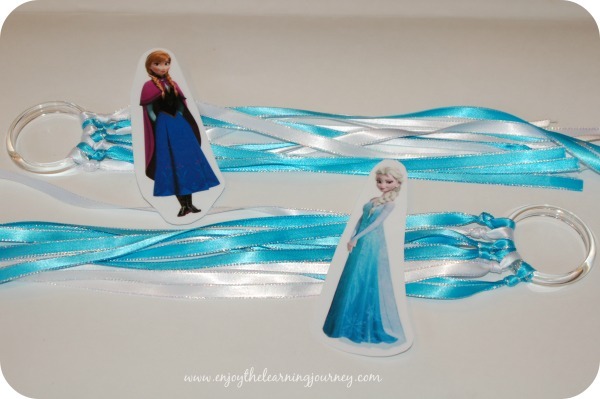 These Frozen inspired dancing ribbons are perfect for any little girl who likes Frozen and enjoys movement and dance. 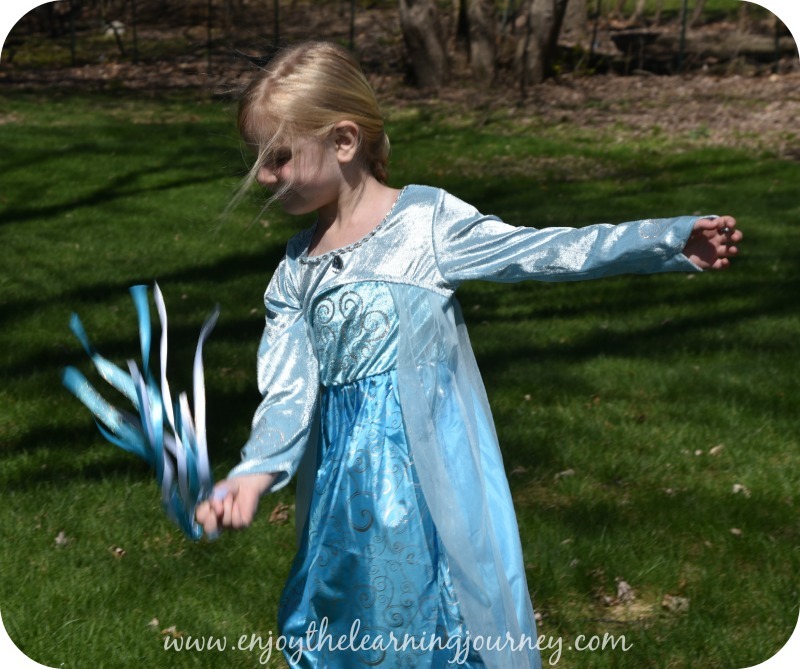 The dancing ribbons are also an inexpensive option as a party favor for a Frozen themed birthday party. 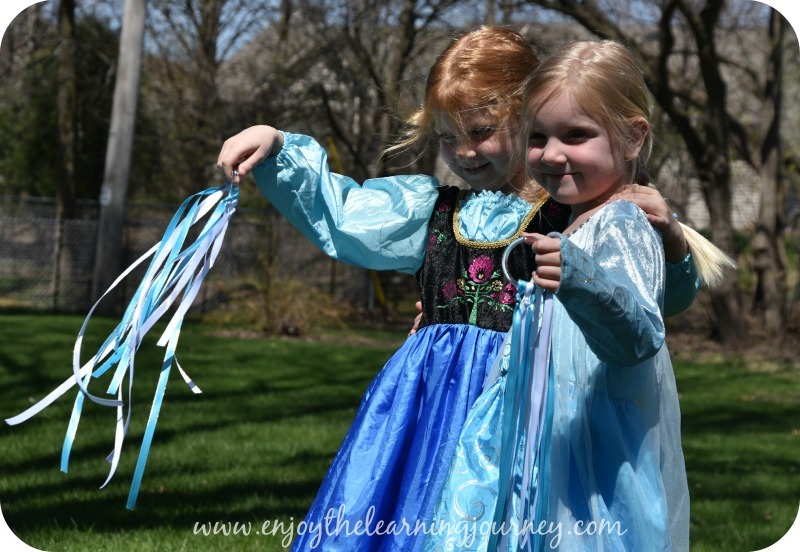 I’ve seen rainbow dancing ribbons with wooden rings before and thought it would be fun to make Frozen themed dancing ribbons for our girls to use during the weeks they worked on some Frozen themed learning activities. 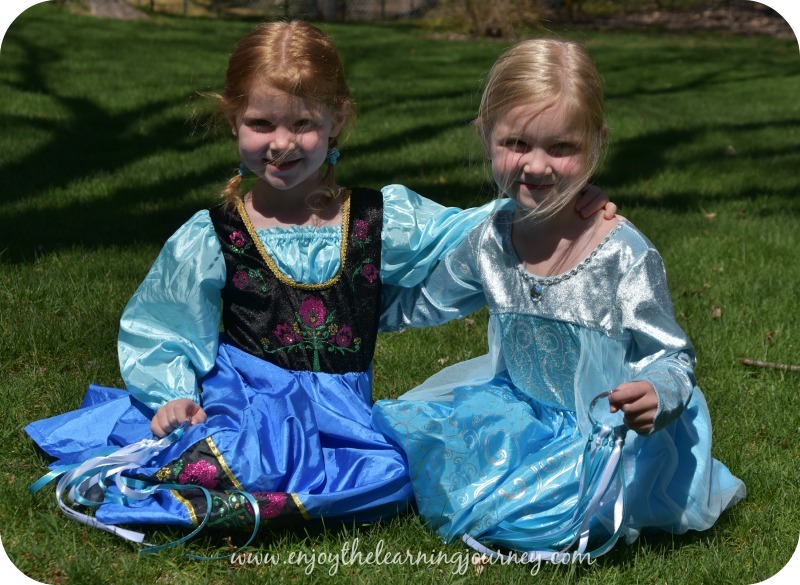 They love all things Frozen and they love to dance so it was a perfect combination! 1. Clear Plastic Shower Curtain Rings Full Disclosure: We earn a commission if you click this link and make a purchase, at no additional cost to you. 2. White Satin Ribbon Full Disclosure: We earn a commission if you click this link and make a purchase, at no additional cost to you. 90-120″ total length of 3/8″ wide white satin ribbon for each Dancing Ribbon. You can choose whatever width of ribbon you want but I found that 3/8″ worked well. If you are interested in ordering ribbon online to save on time going to the store, this Satin White Ribbon Full Disclosure: We earn a commission if you click this link and make a purchase, at no additional cost to you. is perfect. 3. Blue Satin Ribbon Full Disclosure: We earn a commission if you click this link and make a purchase, at no additional cost to you. 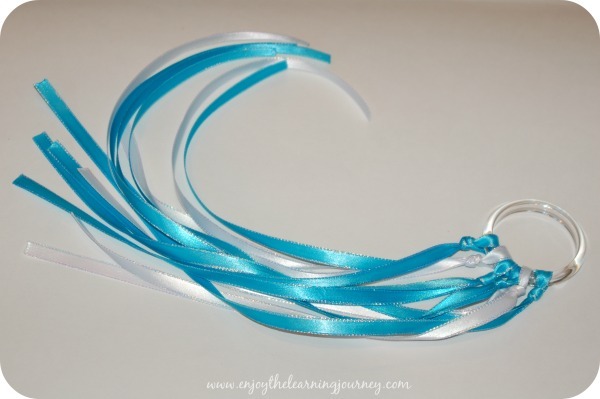 90-120″ total length of 3/8″ wide blue satin ribbon for each Dancing Ribbon. Again, you can choose whatever width of ribbon you want but I found that 3/8″ worked perfectly. For the blue The Ice Blue Kel-Toy Double Face Satin Ribbon Full Disclosure: We earn a commission if you click this link and make a purchase, at no additional cost to you. looks really pretty. 1. 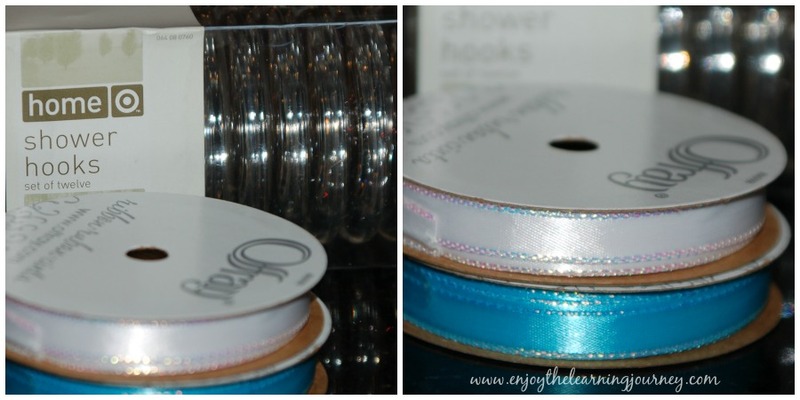 Cut lengths of ribbon between 30″ and 40″ depending on how long you want the ribbon to hang down off the ring. I cut some at 30″ and some at 40″ so there are various lengths of ribbon on the ring. 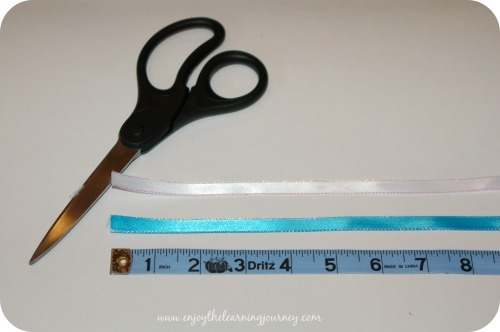 Cut a minimum of 3 blue and 3 white lengths of ribbon. If you have extra ribbon feel free to add additional ribbons to your ring. 2. Take out a shower ring and make sure it is snapped together. 3. Tie one ribbon onto the ring at a time. Bring one end of the ribbon through the middle of the shower ring, match up the ends of the ribbon so they are even, and then tie the ribbon in a knot the same way that you tie a balloon knot, so the knot is right up against the shower ring. 4. Repeat step three until all 6 (or more) ribbons have been tied onto the shower ring. I used seven total for each. 6. And that’s it! 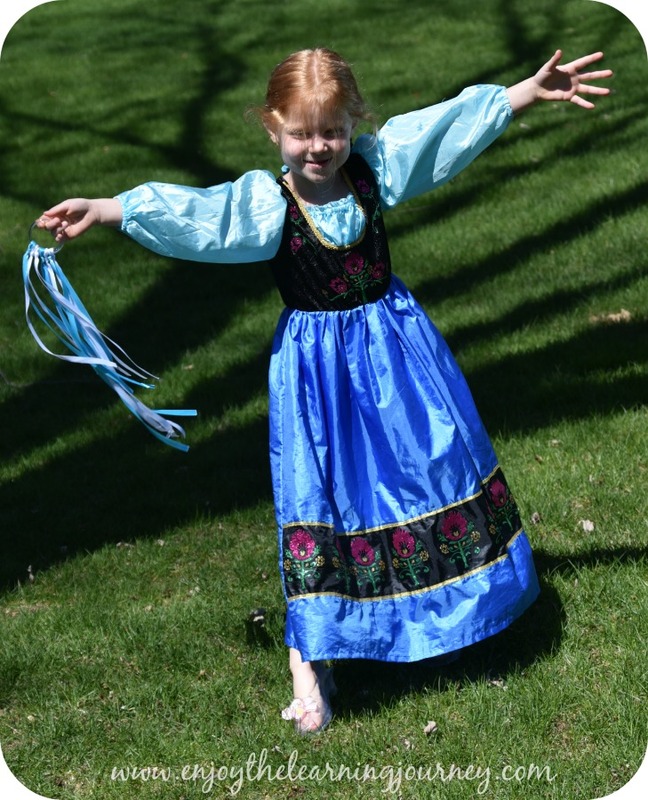 Hand the Dancing Ribbon off to your sweet girl and watch her dance her little heart out! 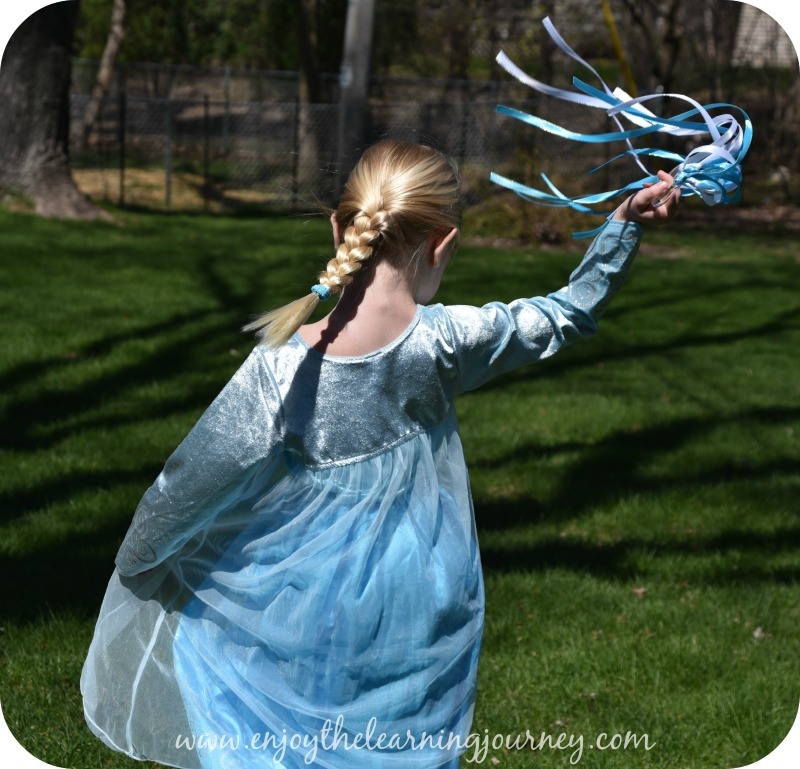 Little girls love these beautiful dancing ribbons! My girls love, love, love these dresses. 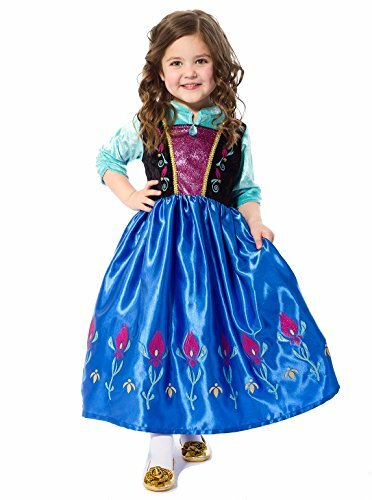 If you are interested in either the Anna Full Disclosure: We earn a commission if you click this link and make a purchase, at no additional cost to you. 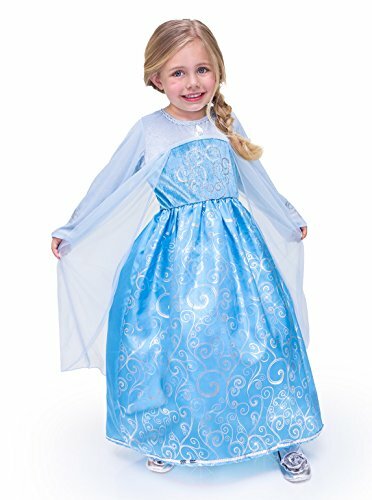 or the Elsa Full Disclosure: We earn a commission if you click this link and make a purchase, at no additional cost to you. dress in the photos, I highly recommend both of them. They are made by Little Adventures and are so pretty and of high quality. They’ve held up very well for us over the past several years (yes, years!). Plus, not only that, but these dresses are nice and soft and they are washable! 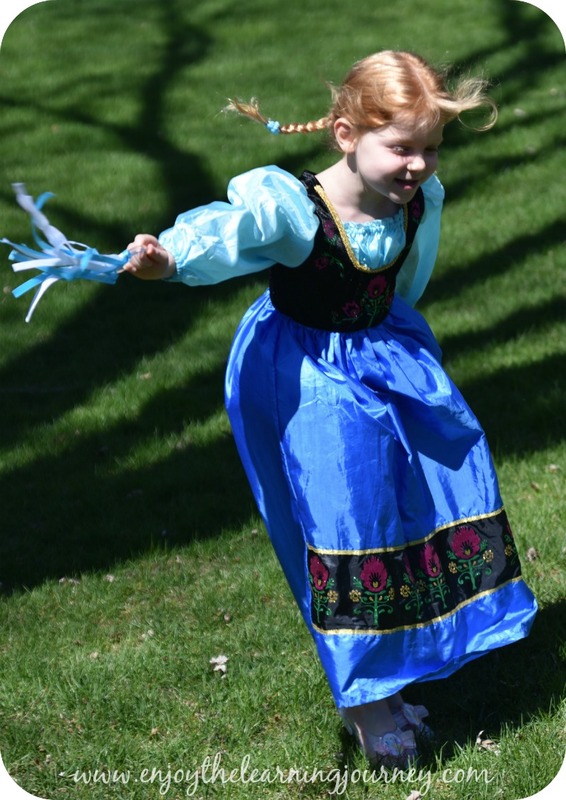 That is so important when you have little girls who like to do everything in their princess dresses because those dresses are sure to need a good washing at some point! I love this idea to make for my little ones in my dance studio. 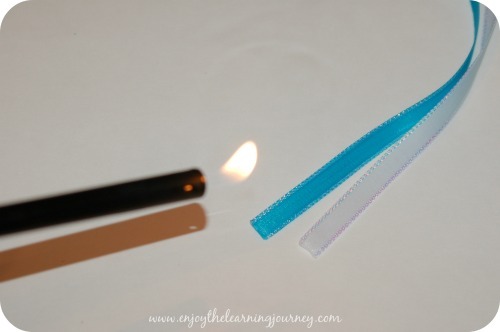 We could even use these in a routine for our recital and they look so easy to make. Thank you for sharing! 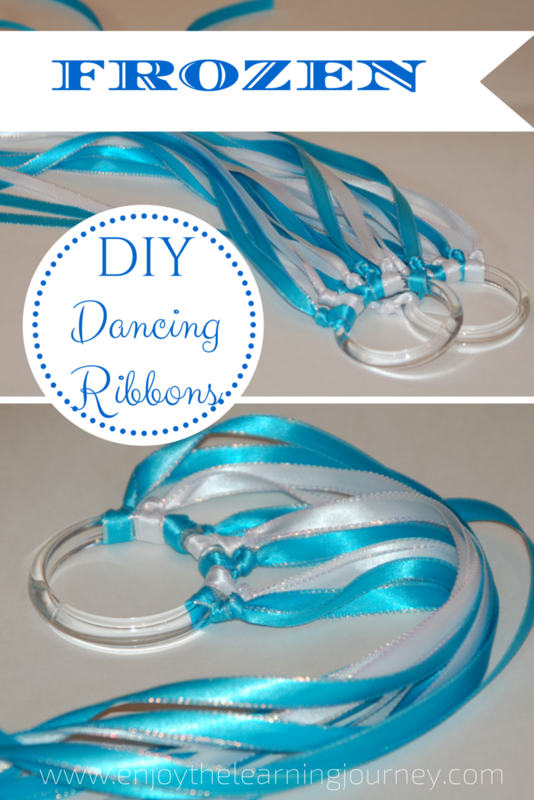 I am so glad you’ll be able to use this idea to make ribbons for your little dancers. That is wonderful! 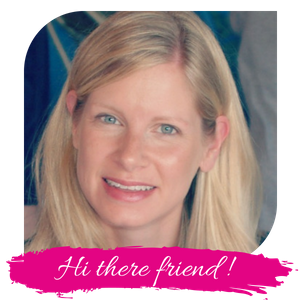 Thank you so much for taking the time to comment!